reus, the city where gaudi was born, now boasts a museum devoted entirely to his work. this is not the classic museum, static, grand and inflexible but can be described rather as a journey of discovery into the magic and complex work of one of the undisputed genii of modern architecture, a way to bring the public closer to gaudi's architecture, to learn to understand it and discover the architect's creative genius and development. as a man, a visionary, a designer more even than an architect, son of a family that for generations practised the boilermaking trade, the craft that produces boilers and saucepans and that works with copper and other metals, gaudi reclaimed the inheritance of his family experience. 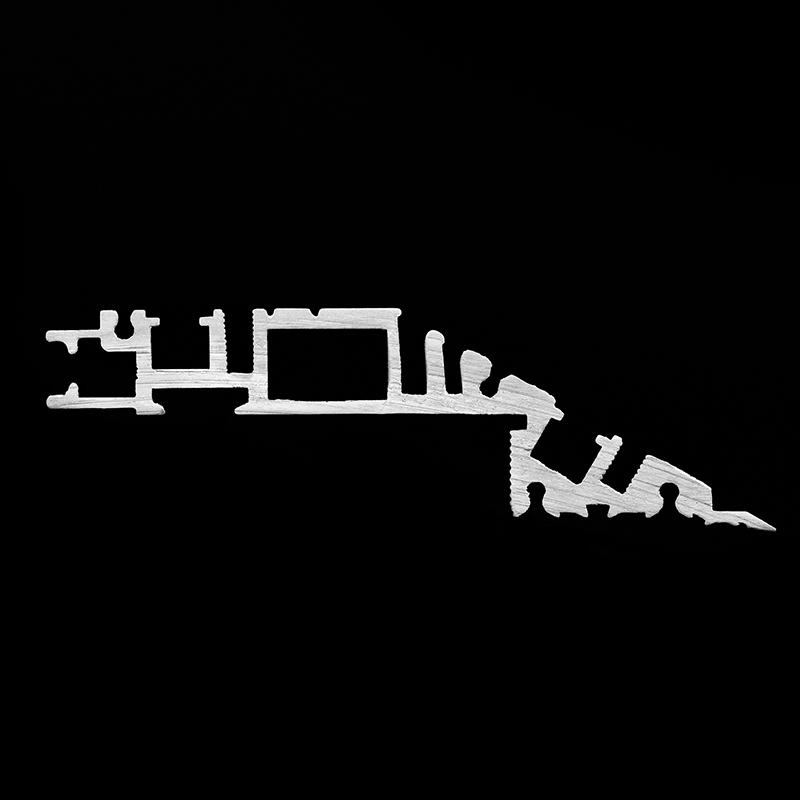 the boilermaker is someone who creates a solid object out of a flat sheet; before starting to make something the boilermaker can already picture it in three dimensions and has already seen its scope before starting the design. as gaudi suffered from poor health from when he was small, he could only observe the family trade without practising it; that allowed him to develop a great aptitude for observation and a deep love of nature. for this reason the place designed to reveal his work is not a place containing models, photographs or documents but rather an outfitted space. this is not a place containing models, photographs or documents but rather an outfitted space. the spirit, senses and emotions must engage the visitor and gain the upper hand over a two-dimensional view of things; gaudi's architecture must be savoured in all its profoundness, its contrasts, its smells and colours, its inspirations and its natural settings. the gaudi centre represents a new way of perceiving exhibition spaces, a new way of bringing the public closer to architecture, involving them in a experience of the senses that can make them empathise with the space and enjoy it. mario nanni's lighting design emphasises and goes hand in hand with these sensations; his lighting becomes narrative, emotive, alive, dynamic and descriptive. the floor is a great map of the city studded with tiny floating points of light; these blue leds sail above the map like so many fishing lights at sea, highlighting the areas of interest, where one of the projects under analysis was built. 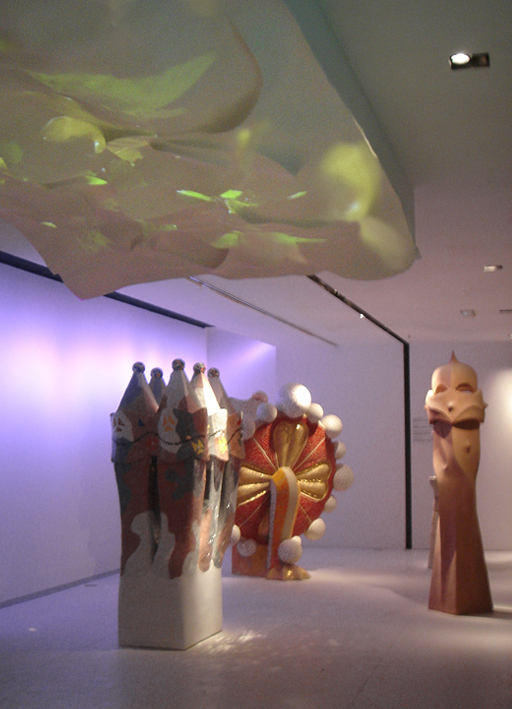 the leds are kept inside small organically shaped sculptures, clearly inspired by representations of nature, an imitation, according to traditional aesthetics, which is the basis for artistic creation. the rhythmic swaying of these luminous objects creates a miniature sky above each of these buildings designed by gaudi, highlights it and tells part of its history with the use of explanatory cards supported on a vertical cable running from the ceiling and terminating in the floating light fitting. even the photos of the buildings are lit but, in this case, by a discreet and linear narrow beam of white light sufficient for taking in the contents of the illustrations without additional narrative.extending around the fascinating platform of the reus plan is the area of the exhibition proper; the traditional concept of display cabinets is rejected, in favour of illustrated panels recessed into the wall. 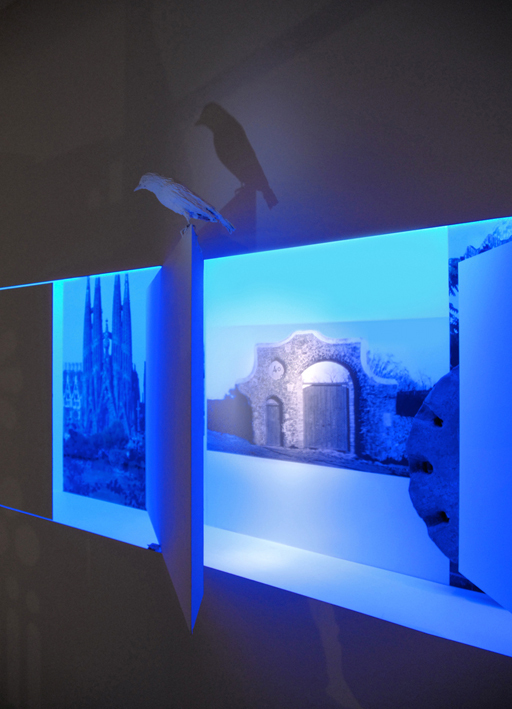 the Viabizzuno lighting display unit is redesigned here and turned into a wall-mounted story book. the universal language, interspersed with the incredible shapes which cemented gaudi's thinking, appears in this way to tell a story using images and light, not just with the narrative use of words. this is the also case with the large room housing the videos, journeys through time to re-experience the natural environment that was always gaudi's inspiration, with the full intensity of sensations. 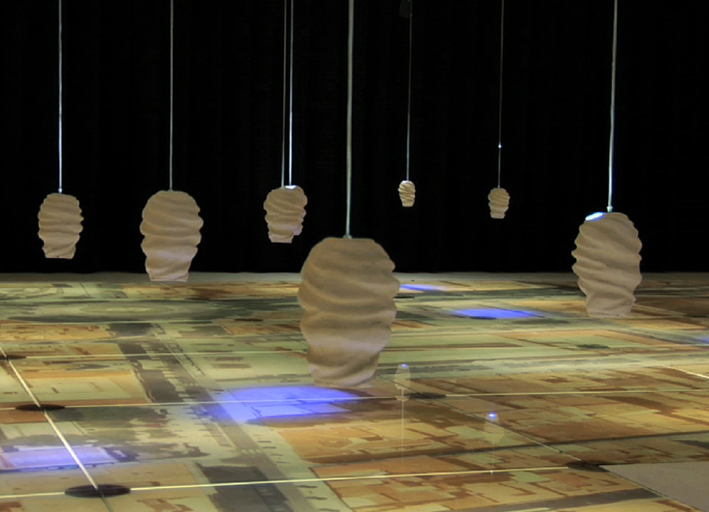 this is a room apparently without limits, with walls demolished and dematerialised by the images of light, a room dotted with a mass of seats that spring up from the ground like flowers, water lilies floating in a sea of light that comes from under the seats themselves. the scene appears dream-like and unreal, perfectly in harmony with the spirit of catalan art nouveau. 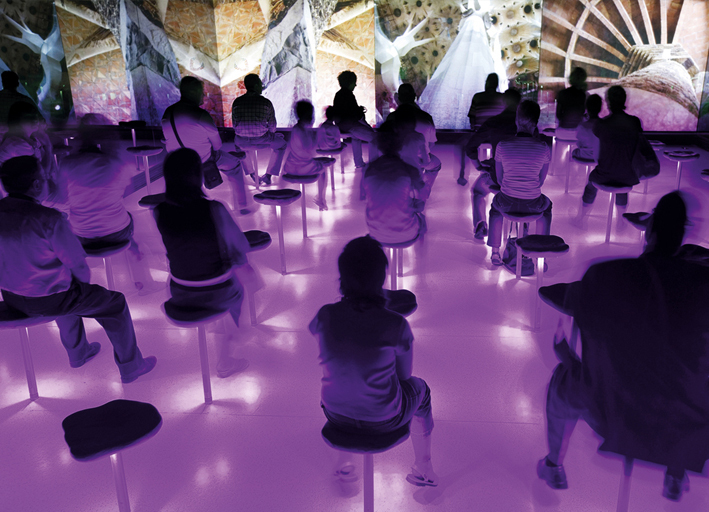 every seat is like a petal to hang on to for following the sequence of images that take us into the story of gaudi's light and colour; a rhythmic dance of light begins, making use of the light from the variable image lamp on the walls and of the in-built led lighting under the stools. the rhythm of light, advancing and retreating, and its range, are the fundamental concepts even for lighting a gaudi sculpture; a purpose-designed light fitting rotates and travels around the sculpture exactly as the earth does around the sun. 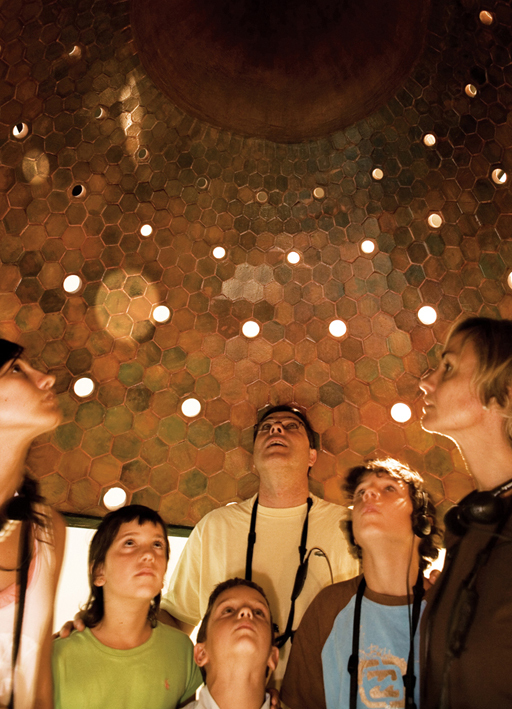 this light fitting was developed with the same irreverence and desire to see things from a diametrically opposed point of view that distinguished and enriched gaudi's thinking; it is the sun that encircles its own planet and it is the planet that sets the rules, making a mystic and sculptural use of the light. the lighting design concept for this space found the courage to refute the obvious and customary points of view, to learn lessons from gaudi, seeing further, using imagination to create and taking inspiration from nature. this is an important lesson for those who design lighting, who should never forget about natural light. it is an important lesson for those who visit the centre and for everyone else: learn to look beyond the shape of things. it is an important lesson for those who visit the centre and for everyone else: learn to look beyond the shape of things.